Guest post from Daniel Abrahams, the Co-Founder and CEO of CurrencyTransfer! As a gentle intro, my startup CurrencyTransfer has offices in London and Tel Aviv. We need to travel. A lot. At the start, I can personally vouch for the fact that my Co-Founder Stevan and I frittered thousands of unnecessary pounds, not to mention time. Today, I’ll share some of our war stories and how you can avoid some of the painful lessons we went through. Whether you travel regularly on business or you are preparing for your first time doing business abroad, there are ways you can ensure the experience is a smooth and productive one. Here are 5 tips that will help you to arrive at your destination feeling refreshed and ready to do that deal of a lifetime with confidence. Doing business well when abroad requires a lot of kit these days. You need a smartphone to keep in touch with clients (and the family back home), a laptop to keep on top of those important documents and contracts, a hands free car kit if you will be renting a vehicle and all of the chargers that go with that kit. It’s always worth having a spare charger on standby, but if you are lucky enough to own devices that use the microUSB multi-device charger, this makes things a lot easier. With all of this technology at your disposal, it makes sense to take advantage of the latest travel and business apps. You’ll need a good scheduling app, Skype or a similar communications app, an app for checking out local restaurants for all that client schmoozing and a good currency conversion app. Don’t be tempted to download every travel app going. 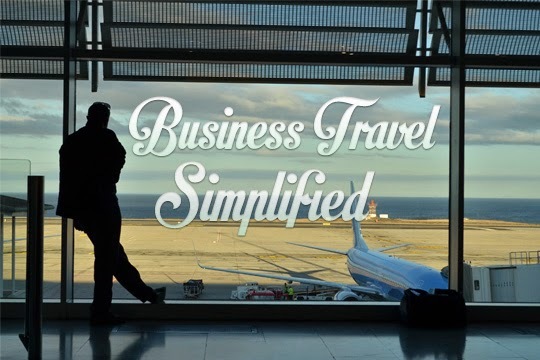 Think about what you will really need and use whilst you are on your business trip. As a top tip, please, please, please download a mobile phone data usage app. Your cellular network probably has one. I got back from SXSW with an astronomical bill. Why? I thought I was using Wifi but the reality was somewhat different. Check in almost daily to ensure you minimise the impact of unbilled costs. If you have an important business meeting arranged the last thing you want to worry about is uncomfortable clothing or not bringing the right items of clothing. You also don’t want to be stressed about wrinkled clothing - business suits do not travel well in a suitcase! Investing in a good quality suit carrier will ensure your suits stay looking immaculate and that they are ready when you are. You may also want to invest in some wrinkle releaser. Simply unroll your clothes and spray them when you arrive at your hotel. And if you keep your clothes in the same colour family you’ll only need to worry about one pair of shoes. One of the worst things about business travel is that you either have to foot the bill for expenses yourself (if you work for yourself) or go through the claim back procedure (which can take weeks) to get your money back. Instead of keeping a pocketful of receipts that could be easily lost, download a smartphone app that lets you take a photograph of each receipt and save it as a mobile receipt. This is also a great way to get organised for tax season as you’ll have all of your paperwork to hand on your phone. If your company is not already using a corporate currency provider for both international payments and holiday money, there are many non-bank foreign exchange companies offering excellent exchange rates and currency exchange services. It pays to shop around. The difference between using your own bank and an FCA authorised and regulated foreign exchange company could be quite significant in terms of fees and the rate of exchange you are given and your company will also love you for checking out the best deals as it reduces their travel expenses too. Okay, so catching the red eye first thing in the morning might not be your idea of fun, but it can be beneficial if you look at it a different way. Catching up on emails, taking a nap or simply getting some ‘me’ time by reading the newspapers or watching a movie are all good ways to make the most of your time in the air. Travelling is also a great way to network. Take plenty of business cards, be ready to share your LinkedIn details and take advantage of making lots of new contacts that could be good for your own business or the business you work for. Networking in this way can often lead to new ideas, mutually beneficial partnerships and lots of new leads to follow up when you get back to the office. Good luck – the world is your oyster! About the author: Daniel Abrahams is the Co-Founder and CEO of www.CurrencyTransfer.com, the world’s first online marketplace matching businesses with the most competitive international payment quotes. It’s sister brand, MyTravelMoney is the UK’s leading holiday money aggregator. Recently, the company was voted Wired startup of the week.